As social media marketing professionals, we know how important it is to create engaging content on Twitter. But if you're not connecting with the right people, you're putting quality content out there that valuable people will never see! If you haven’t heard of Twitter geolocation already, it’s a cool new way to reach more locals on Twitter. Using geolocation data can help you find the right people to connect with on Twitter and build local brand awareness. In this blog, you’ll learn how to use Twitter geolocation and how to use to it build stronger local connections on Twitter and improve your local marketing. Because Twitter is such a fast-paced social media platform, finding the right people to connect with can be challenging. That’s where geolocation comes in. 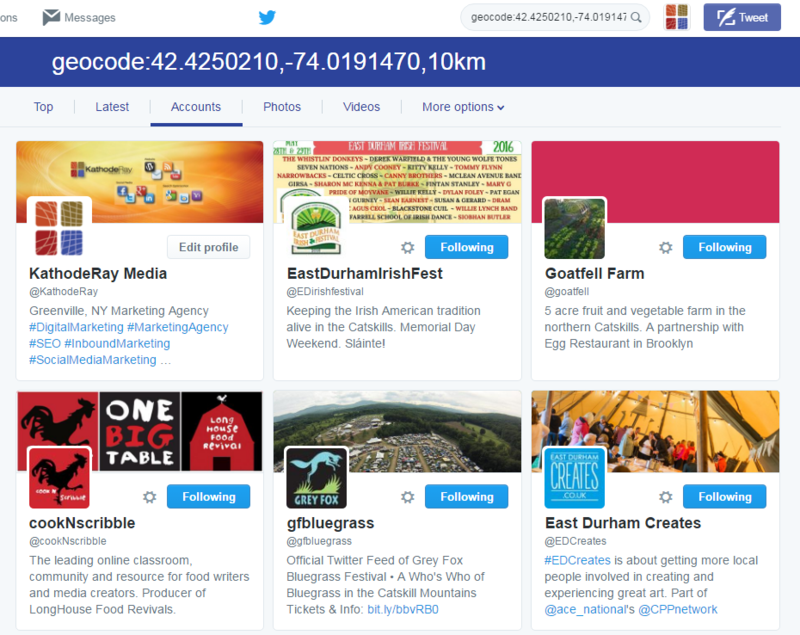 Using MyGeoPosition.com can help you find local Twitter accounts and tweets using your business’s location. To start, go to MyGeoPosition.com and type in your business address in the search box. Then click the Calculate Geodata button. The site will then pull up the coordinates of your location. Once the site has calculated your geodata, click on the Copy (x,y) button to copy your latitude coordinates. Next, head on over to Twitter. After you’ve logged in to your Twitter account, go to the search box and type in “geocode:” without the quotation marks and paste in the latitude value that you copied from MyGeoPosition.com. Then, type a comma after that and enter a mile (m) or kilometer (km) value after it. Click enter. Then click then Accounts tab to see local people and businesses in the immediate geographic area of your business. Now start connecting! You can also switch over to the “Top” tab to see top tweets from locals. 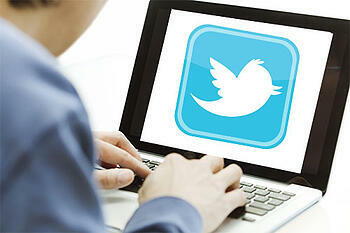 We all know that Twitter is a platform we use to help raise awareness and visibility of our brand. When you build relationships with influential figures, there’s a good chance their followers will start to follow you as well. Geolocation makes it easy to connect with people who can help you build awareness of your brand. 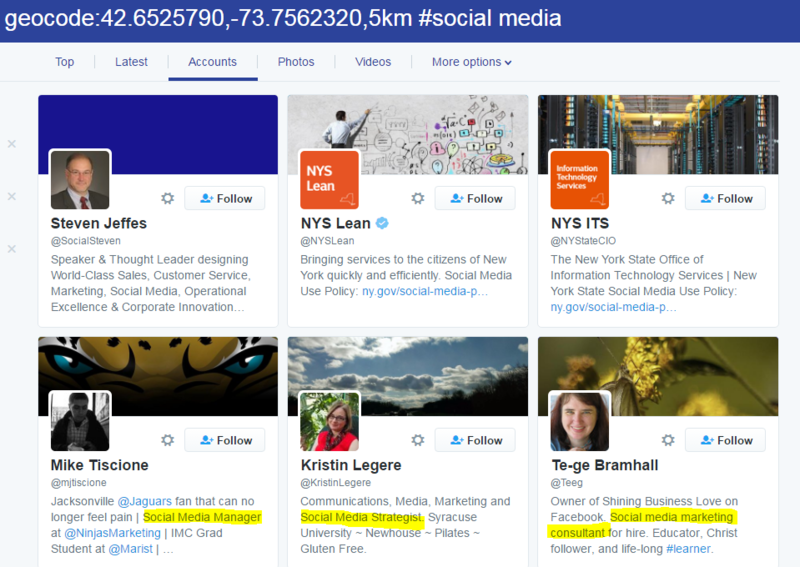 You’ll then see accounts for other social media strategists in your area! Start connecting to local professionals and businesses to build your brand awareness! Learn how to develop a strong brand on social media and increase your sales! Download our FREE Guide on How to Establish Your Brand on Social Media.